Fresh off the boat to head Tribal Worldwide Sydney, Phil Dowgierd reckons Australian businesses are missing an opportunity provided by the hyper-connected Australian customer and exceptional local technical infrastructure. I’ve only been in the country for three months, arriving here from the UK. I knew it was the ‘clever country’ but I hadn’t realised quite how clever: 84% penetration of smartphones, 4G coverage nationally and a people who are among the fastest adopters of technology in the world. I did my due-diligence before I arrived, but the pace of technical adoption, the reliance on smartphone and tablet and the access to the web via those platforms, strips developing countries of their right to the clever crown. And yet, as a new arrival I can’t help feeling that Australian business is missing a trick. I’ve done my grocery shopping at the supermarkets’ online offerings, signed up for utilities, internet suppliers and cable TV and bought clothes and goods from Australian shops and businesses all (as much as I could) online. As you might expect I’ve also done some shopping via the same online retailers that I used back in the UK, partly out of habit and also to stress-test the offerings from 10,000 miles away. Without making sweeping statements, the results were enlightening. Enlightening in as much that, as an online advocate, I was left mostly underwhelmed, sometimes lost and quite often disappointed with the purchase and ownership experience provided by many Australian businesses. In signing up for utilities and entertainment services it seemed my data was siloed in different areas of the business, the onus was on me to keep track of progress and chase for appointments, installation dates and updates. First, the technical and structural challenge is often held up as the most difficult obstacle to online advocacy. In Australia, however, a range of factors (size, population spread, economic growth, etc) has turbo-charged overcoming this issue. Second, the customer is accessing the online world via phone and tablet and has adapted to these faster than the many countries that have jumped straight from desktop to mobile. This hyper-connected Australian customer and exceptional local technical infrastructure both offer significant opportunities to the businesses that embrace it. Yet, in this modern age, these businesses may not be, nor have anything to do with, Australia, leaving the opportunity overlooked (just ask Asos or Uber). I am curious as to why the opportunity is missed. Outside of how customers interface with a brand, there are multi-million pound structural and operational challenges to becoming a multi-channel business: how data and inventory is managed, how the operational and supply-chain logistics are implemented and the capital expenditure investment to make that happen. None of this is an easy undertaking and many global brands, Nissan-Renault group and Best Buy to name just two, are in the midst of multi-year programs of change in an attempt to achieve this. I understand that it is a highly complex and multi-layered issue to embrace. But the experience a customer has while purchasing or seeking to purchase is controllable and has a myriad of opportunities for innovation, excellence and creativity while, most importantly, differentiating the brand from the competition. Indeed, with more choice than ever before and less differentiation between products, the experience we have whilst being engaged to purchase, or making a purchase is the last remaining point of differentiation. Australian brands and businesses have a superlative opportunity to create interfaces with their target customers, which create memorable experiences. It doesn’t have to be a large ecommerce website redesign or an omnichannel retail experience. It could be as simple as as how a product or service is launched, or creating brand differentiation through an innovative service or product: just look at Heineken Ignite, Track My Maccas or Burberry’s interactive retail installations. Whether it be via interactive design, apps, gamification, m-commerce, integrated on/offline retail installations, product design and creation or, a combination of all of these and more, Australian customers are engaged with the online experience and will make purchase choices based on what they find. The Australian customer is clever and the country’s infrastructure supports them in being so. It’s time for Australian businesses to be as clever as their customers or lose it to external businesses that have seen the opportunity. 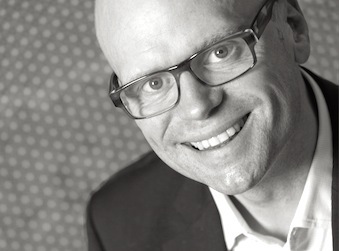 Phil Dowgierd is managing director of Tribal Worldwide Sydney, part of the DDB Group.